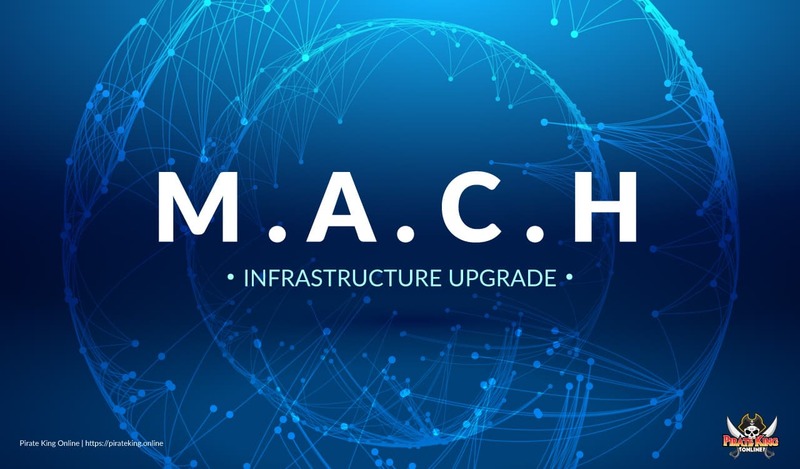 Today we've got a treat for almost all of people, we've added a beta network known as M.A.C.H it's currently operating and was deployed few moments ago, and all of players have already begun to use it even though they may not realize. So what in blazes is M.A.C.H? As you can see it stands for Massive-AnyCast Connection Hyperion, it's an very special infrastructure upgrades that drastically changed how the back-end works with front-end, for years we've had to carefully deploy the front-end so they would protect back-end from evil actors such as DoS/DDoS and today after series of tests, our upstream provider CloudFlare have selected us to partake their internal private early access allowing our project to utilize the powerful massive anycast network they operate. Together, we've turned our game client to utilize this by making essentially ~200 datacenter in all over world acting as gateserver instead of one gateserver located in North America. So what's the point of MACH: It allows all players to have ultra-low latency without compromising security (flooder and man-in-middle-throttle) at no cost for ALL players! While this deployment is BETA and may experience issues, it's already operating at production as stated before, we ask all players to be proactive in regards if they felt any improvements or not. Those who experience errors or erratic behavior please open support topic and provide in-depth description along screenshots if possible. Thank you for being patient with us, as we roll out this new exciting changes. better updated of 2018 obviously. good job zankza! We forgot to tell a small detail. Client as well as Servers are now fully support IPv6. This is amazing work guys! Well done! This, literally, made my day. Thank you so much. Players have not been insecure at all, we never reveal personalized details, that includes players IP. This is opposite, its protecting server from being flooded preventing all other players to play.